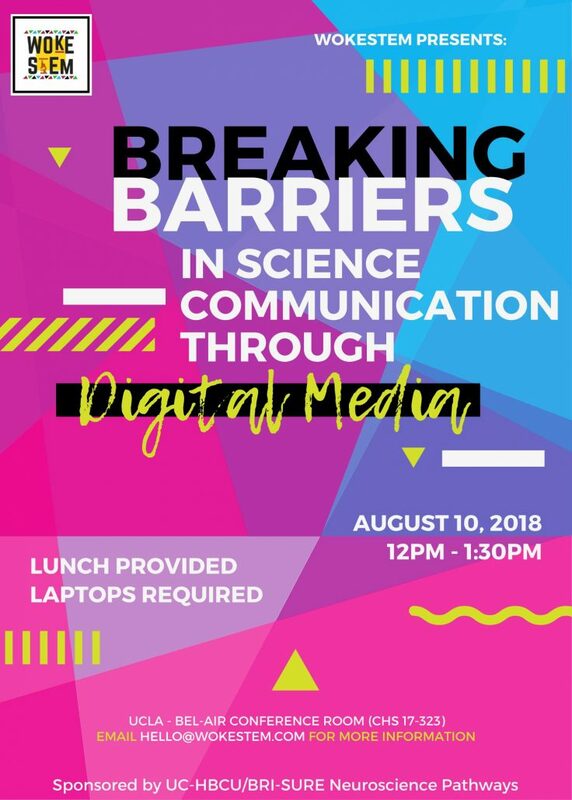 This Friday, August 10, 2018, wokeSTEM Presents: Breaking Barriers in Science Communication Through Digital Media, from noon – 1:30 pm at UCLA Bel-Air Conference Room, Center for Health Sciences (CHS) 17-323. Please email hello@wokestem.com for more information. Lunch will be provided; you must bring your laptop to participate. To download the flyer, click here!